This Expert Interview is with coach, transactional analysis expert and Integrity Coaching Associate, Giles Barrow. 1) What are the challenges of being a new Headteacher? 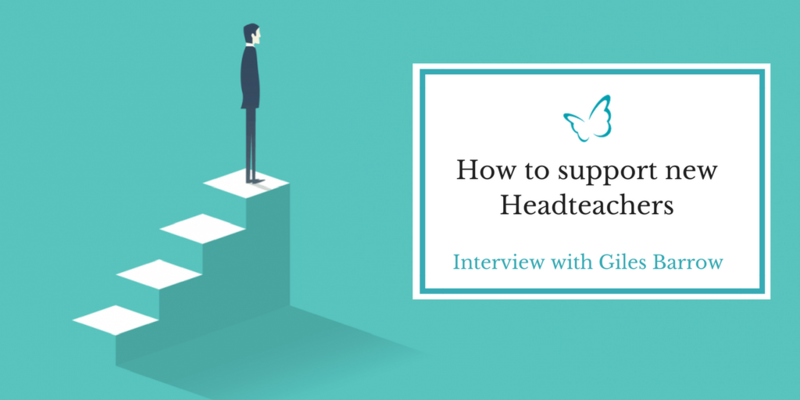 Over the last few years, what I’ve noticed is that being a good practitioner, demonstrating many of the qualities of effective leadership is often the basis on which individuals get promoted into headship and sometimes quite early on. One of the thresholds that needs to be understood and crossed is that there is a difference between being a good practitioner and holding leadership. A question often unasked is why would others want to be led by you? This demands of us that we understand psychological leadership. This is where we want to be led by someone, as opposed to having to be led by them. So, some newer heads can be extremely bright and right about their vision, but soon stumble around because others are not coming with them. Being bright and right is sometimes not the point for the leader – it’s the relationship that counts. 2) How can we support New Headteachers better? I wrote a paper on the theme of “eldership” a while ago which was subsequently published in Pastoral Care in Education. In it, I was outlining what this might mean for schools – it’s a bit of an odd term and one not used in education. I was referring to those individuals who are able to not only hold a bigger picture, but also to hold it lightly. In other words, their personal investment in the immediate operational and strategic business is minimal. This is precisely why most head teachers are not able to hold eldership – they are primarily leaders and this is different from the task of eldership. Followership, leadership and eldership are the main ways in which we spend time in groups and communities, including organisations such as schools. My concern is that we have over-egged the importance of leadership and failed to recognise that effective leaders have often leant on elders. I think we need to provide a kind of “eldership” to new entrants to the profession would be the ideal, but given what I have previously said, this can be difficult to achieve. 3) What skills, attributes and kind of person would you look for in an “Elder”? I think longer-serving Heads would make the best elders for those new to the profession, but they are a dying breed these days. Many of those individuals who have served many years are no longer in headship, some are CEOs, or executive head teachers, working independently or left the field completely. – Integrity – in particular, those who’ve managed to retain a deep sense of professional integrity in difficult times. – Patience – almost a kind of stocism – is a must, without slipping into cynicism. That’s quite an ask these days for the more experienced head teacher. – Demonstrated the need to look after themselves is certainly something else that they can model for younger staff. – The qualities that underpin sustainable professional well being – namely, tolerance, of self and others and especially in the face of failure; optimism about the power of relationships in encouraging learning; the need for consistency in relationship; taking the long view when the immediate seems overwhelming; taking care of oneself. 4) What evidence have you seen for the benefits of “Eldership”? I have come across rare examples of where such head teachers move to a position where their focus is on maintaining the character or culture of the school whilst other senior staff take on more leadership in running it. I have also come across an example of where a long-serving senior leader actively moved into an eldership role with younger members of staff and accepted a more marginalised position within the wider SLT. But on the whole, in the financial context we are in, the flexibility for such arrangements are very limited. I know that some of my responses may weigh heavy and not be especially optimistic. I think my reason for raising the theme of eldership was not so much that there needs to be some organisational change to bring it about, but that it offers a way in which individuals who have served many years, might re-frame their relationship to the work they do. It may be that this applies to those on the edges of the system, supporting head teacher as well. The concept is intended to widen the scope of how we can renew our sense of vocation. 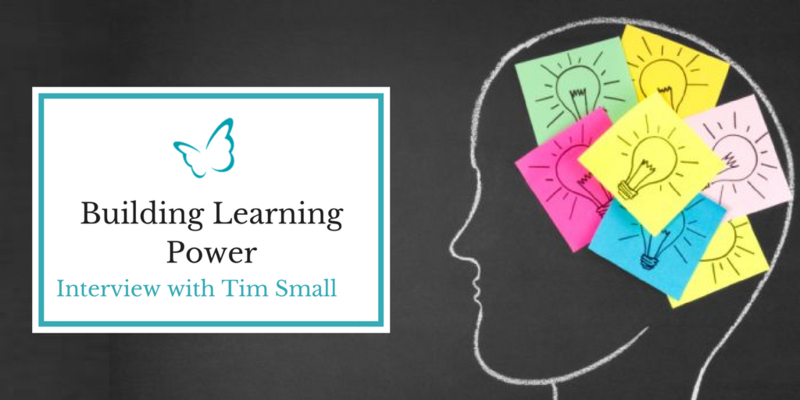 In a short interview, former Headteacher and Integrity Coaching Associate, Tim Small discusses the emerging research into “Learning Power” and how the CLARA profile which has resulted from it could become a hugely useful tool for growth in our schools.